Love Pottery Barn style but not the cost? 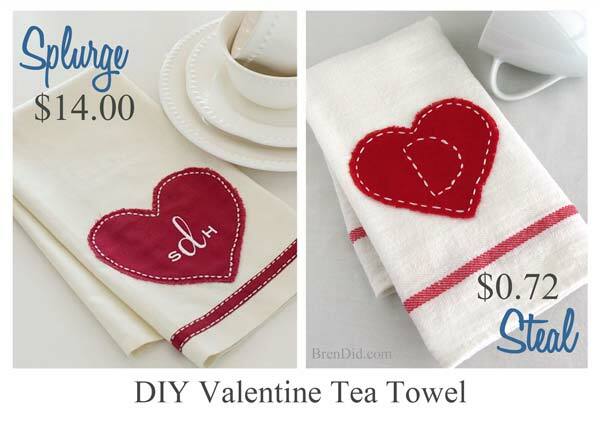 You cab make these no sew PB inspired Valentine tea towels for less than $1.00 each! I once told my husband I would get a job at Pottery Barn for the employee discount alone. He immediately vetoed this idea because he knows that I would never, EVER make any money working at Pottery Barn. I had to agree that I would definitely outspend my earnings if I was going to that den of decorating temptation every-single-day. 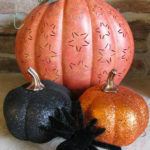 I can't help it, I just adore Pottery Barn's seasonal decor items. 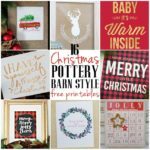 I recently clicked over to the Pottery Barn site to check out their holiday offerings and their Valentines décor had me drooling. 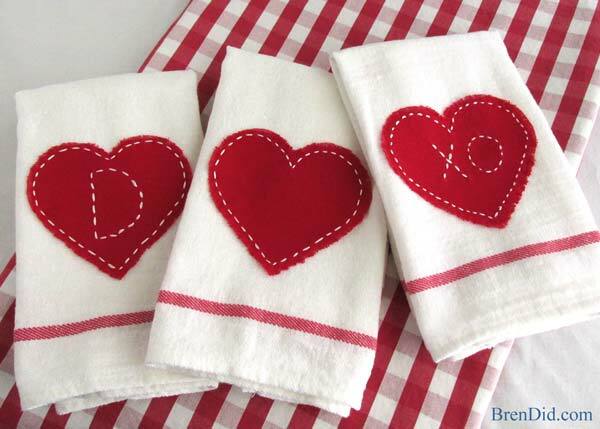 These adorable Valentine Tea Towels can be used as a placement, a napkin, or as a gift basket liner. 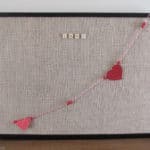 Isn't it just the sweetest little Valentines decoration? …. then I looked at the price and choked a little bit, $14 seems a bit steep for ONE cotton flour sac towel with an easy applique. My next thought? 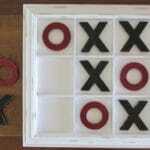 I could make that without even using my sewing machine! Then my mind began to whirl! I remembered seeing a similar flour sack towel at Ikea so I took a little road trip and came home with these adorable Tekla towels for just $0.59 each. I grabbed some red cotton fabric to match the red strip on the towels, some white cotton embroidery floss, and some iron on adhesive. Then presto, I had an adorable Pottery Barn inspired towel for just $0.72! 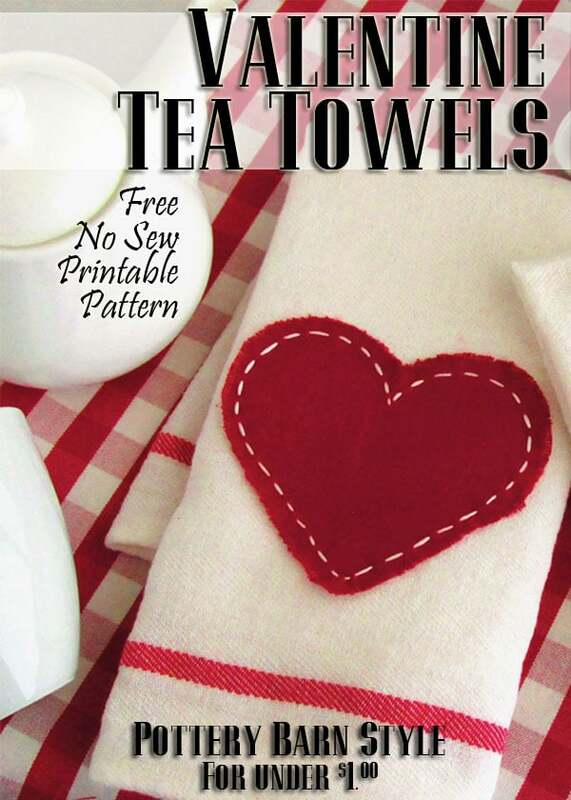 Download the free printable pattern in the free printables library and make your own adorable Valentine tea towels with the directions below. 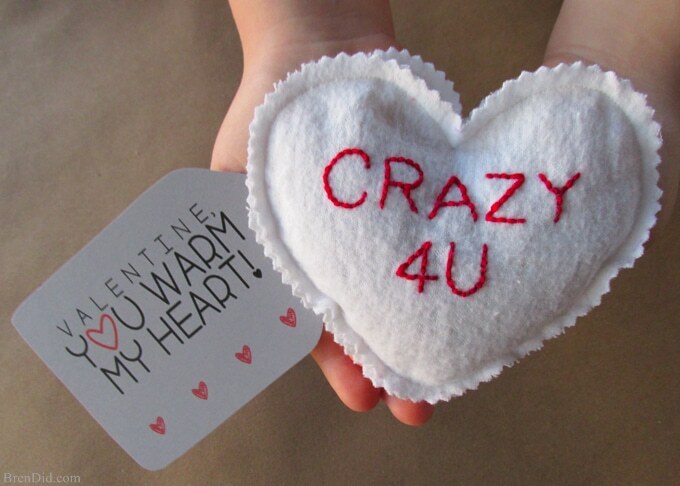 If you like this project, make sure to check out my Valentine's Day Easy Heat Pack Craft. 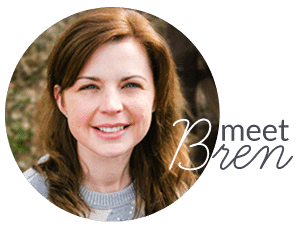 They are sweet little hand warmers or boo boo soothers inspired by conversation hearts — plus they are equal cute and affordable! 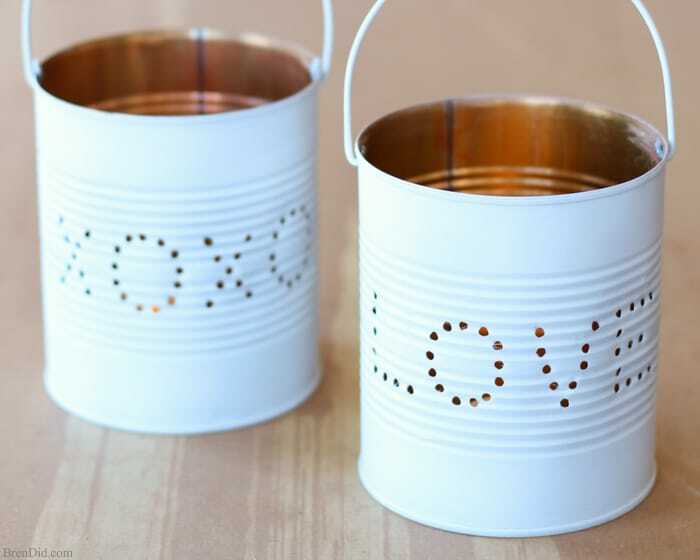 You might also like my Valentine Tin Lantern. 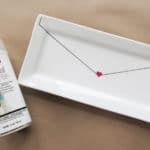 So cute and less than $1 to make! 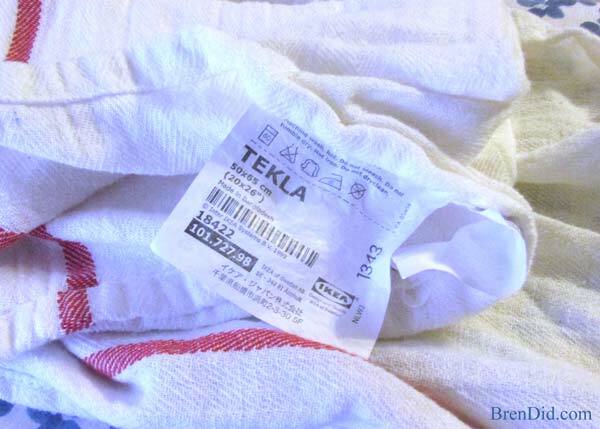 Tekla Towel from Ikea or any flour sack towel. Iron on adhesive (Heat and Bond Lite). 1. Wash and dry towels and fabric, do not use fabric softener. 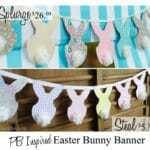 This allows the iron-on adhesive to adhere to the fabric. 2. 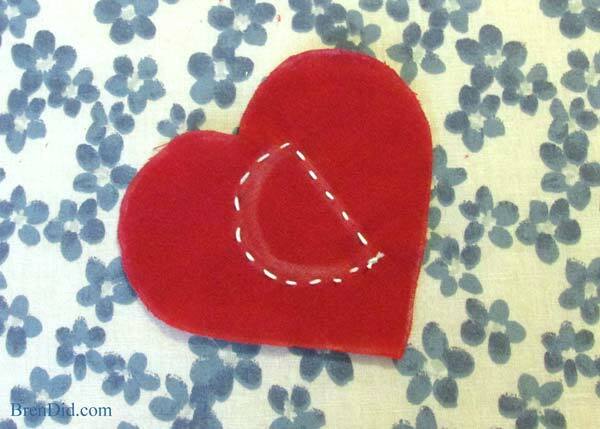 Trace hearts using printable PDF pattern on fabric. I use white chalk for this step. It is easy to see and wipes off with a damp cloth. 3. 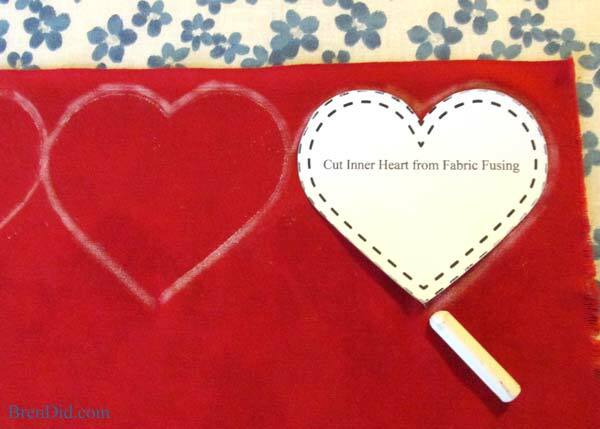 Trace inner hearts on the iron-on adhesive by laying the pattern beneath the adhesive and tracing with a pen or pencil on the paper side. 4. 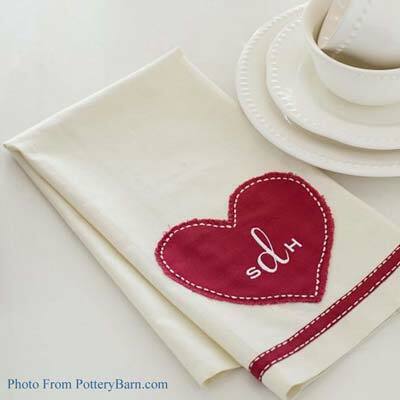 If you want to add a monogram, stitch it now with embroidery floss. I sketched a guide on the back of the heart (backwards) in chalk. *Make sure all the knots and loose threads are on the wrong side of the fabric. They will be securely attached by the iron on adhesive. 5. 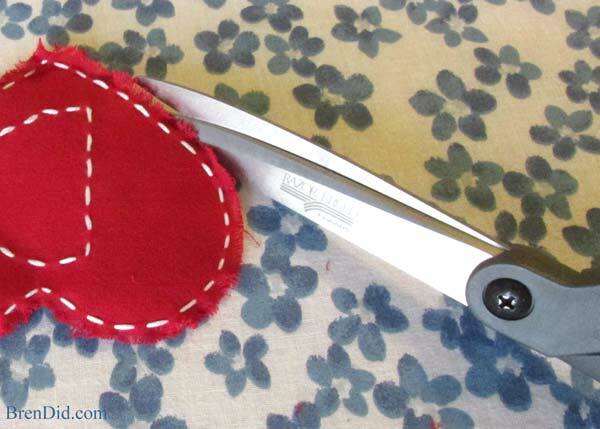 Adhere the iron-on adhesive to the fabric hearts following the manufacturer’s instructions. 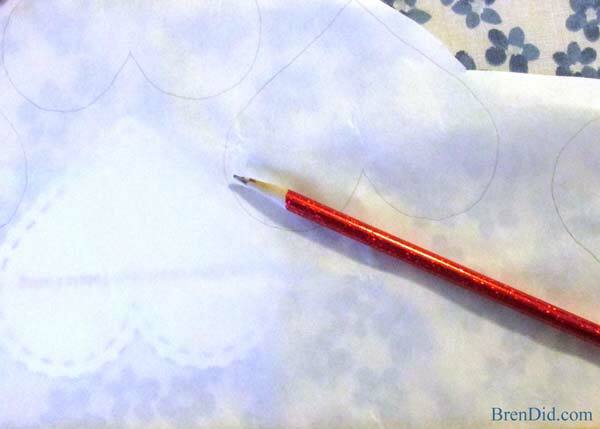 Keep the paper backing on the adhesive until step 9. 6. 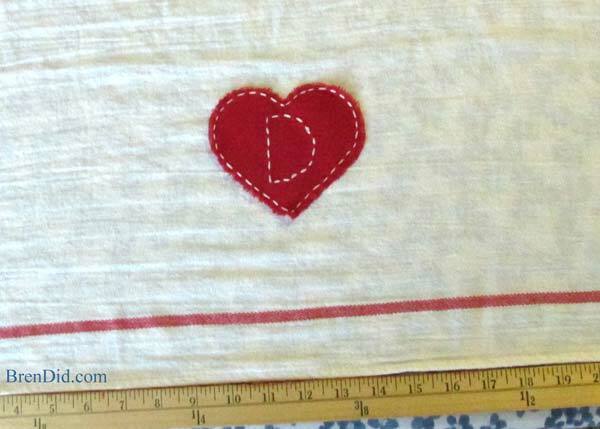 Using iron-on adhesive as a guide, stitch a white border around the edge of the heart. 7. 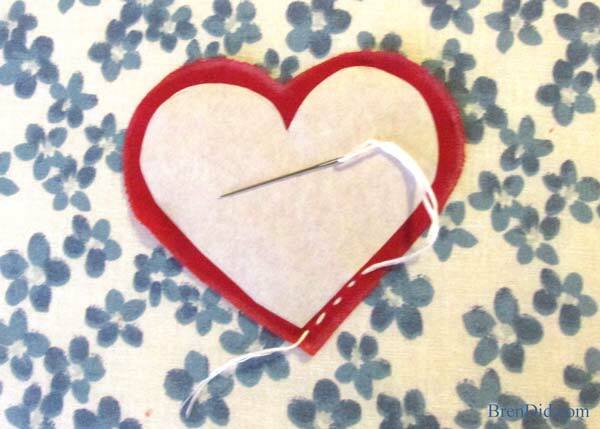 Use your fingernails to lightly unravel the unfinished edge of the heart. 8. 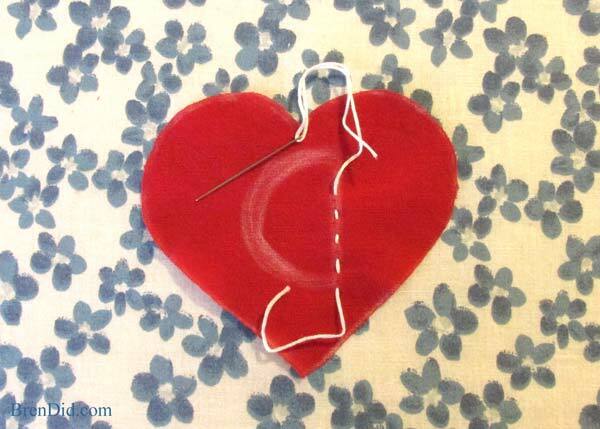 Trim any extra long threads from the edges of the heart. 9. 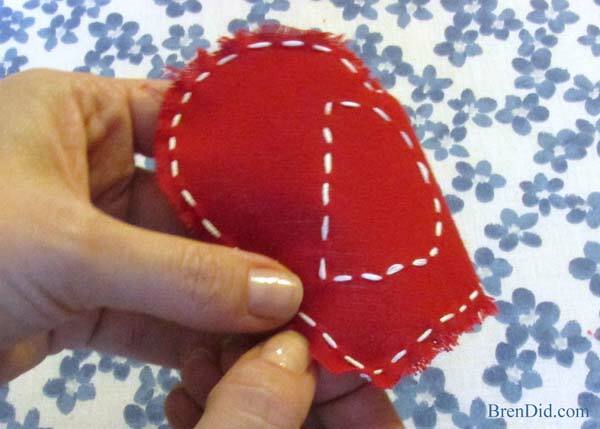 Remove paper from the iron-on adhesive and place heart in desired location on towel. 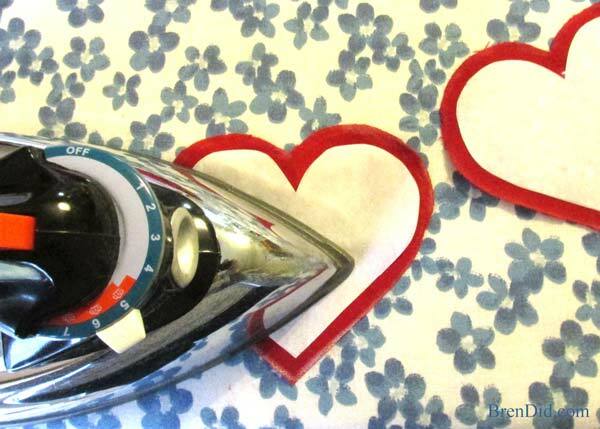 Iron your heart to the towel following the manufacturer’s instructions from the iron-on adhesive. The total cost of this towel is $0.72! 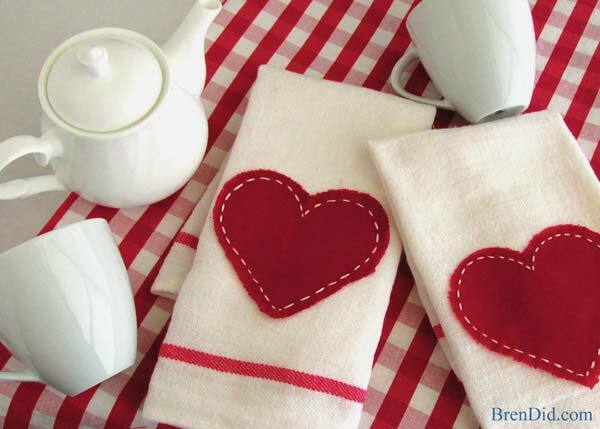 At this price you can make a few (or many) Valentine Tea Towels and treat your friends to a cheerful surprise. 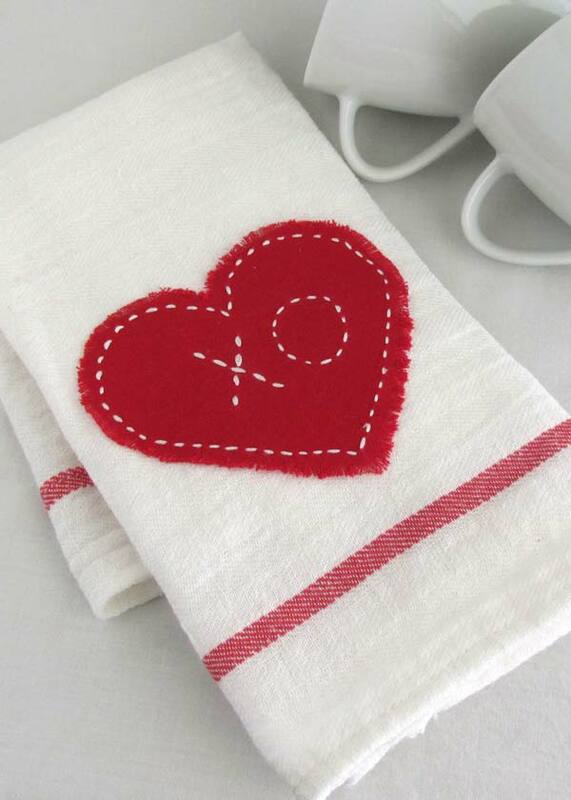 Wouldn't these make adorable napkins for a Valentines lunch or tea? *Tip: To extend the life of the adhesive, I recommend washing on the delicate cycle and hanging to dry. Like my easy crafts? 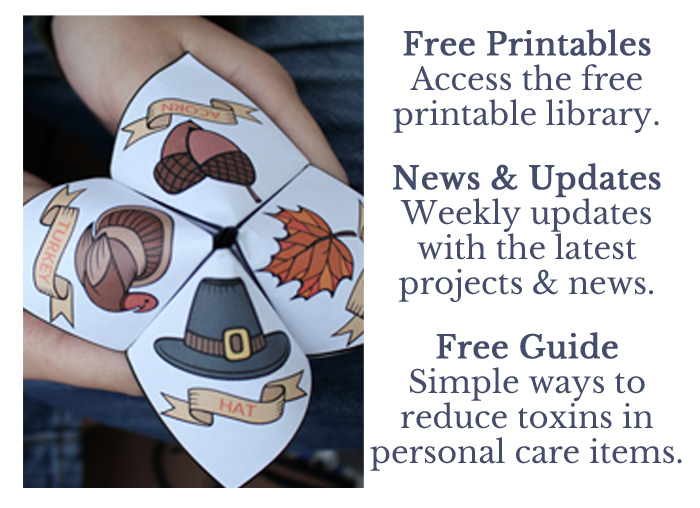 Sign up for my free newsletter and never miss another project! Wow! Those are stinkin’ adorable!